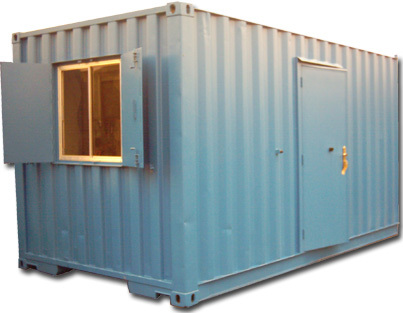 Due to the demand of more secure units, Newport container valet as moved away from portacabins and since January 2001 have started to convert new and used shipping containers into portable offices, canteens, toilets blocks, shower blocks, and drying rooms. These units have turned out to be very successful and are in great demand. With almost every business needing the use of computers and fax machines these days, the need to make sure they are left in. A secure environment is so much important. Newport container valet are able to convert these containers into any length from 10ft up to 40ft fitted with what ever the customer needs. All doors are steel lined and fitted with internal locking systems, we can also supply emergency exit doors, windows can be fitted with steel lined security shutters. 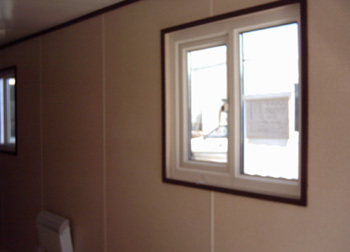 If security is not a major issue we can supply double glazed windows fitted with mesh covers. 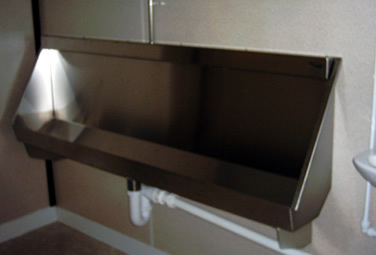 Flooring, lighting Plug sockets, base and wall units, heaters, sink and taps can all be fitted to customers spec. These containers are easy transportable and can be moved from site To site without any difficulty by means of hiab delivery. 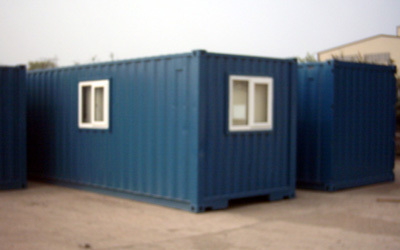 All containers are built with lifting points to ensure safe and easy movement of these units. 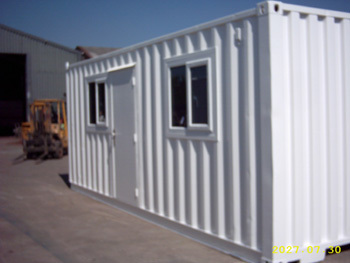 Newport container valet pride themselves on there quality of work And will do all in there power to ensure there customers are fully satisfied with quality of workmanship in the fitting out of these Containers.